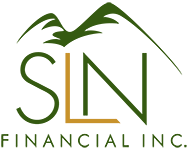 5 Common Retirement Terms You Need to Know | SLN Financial, Inc. There are some things in life that are just worth knowing. Retirement terms is one of those things. Regardless if you’re far off from retirement or in the middle of it, it pays to understand some common retirement lingo, so you’re not left in the dark. Here are five terms to know. Actuarial analysis: An examination of risk done by an actuary. An actuary is a business professional that measures and manages risk; often involved with retirement and insurance planning. Blackout period: If major changes are needed to a plan, a blackout period occurs. These periods typically lock up money inside the plan for 3-60 days, depending on various externalities. Target date fund: One type of investment geared towards retirement is the target date fund. This is a type of mutual fund that matches its investing strategy to a specific timeframe. When you’re younger, the investing strategy will be riskier, but as you age, the strategy will shift to safer investments, such as bonds. Trust: A legal entity that is typically formed with the help of an attorney. It allows you to specify how your assets are to be distributed when you pass away. How are you feeling about your retirement? If you have any worries, give us a call and we’ll help alleviate your concerns and find solutions to your problems. The content within this document is for educational purposes only and does not constitute legal or tax advice, nor is it an offer to purchase or sell any securities product. One should consult their legal or tax advisor before making distribution decisions on their Social Security and qualified retirement plans.